Join The KeywordRevealer Affiliate Program! Earn 30% recurring commission each month from everyone you refer! If you haven’t already, signup for the KeywordRevealer Affiliate program so you can begin promoting our amazing software to your friends, family and community. Visit your affiliate dashboard by clicking the link below and begin promoting your custom link. Once logged in you can track your progress along the way! 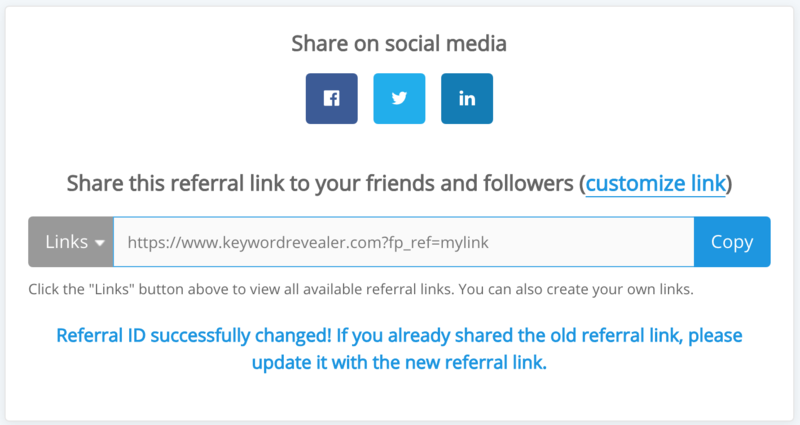 All leads, subscribers and sales that are generated from your link will show up in your account.